Nearly 100 suspects being investigated by Yorkshire’s largest police force have been released on pre-charge bail at least half a dozen times, new figures have revealed. 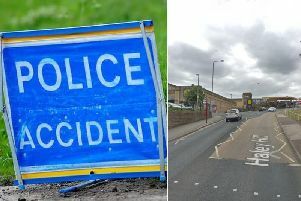 The number of people bailed six or more times during the course of a current West Yorkshire Police investigation rose from 85 in October to 97 in April. In 2013, the force was found to have more people on long-term police bail than nearly any force outside London, but has since cut the number of suspects kept on bail for more than six months. It was revealed two years ago that 3,979 people were on bail in West Yorkshire, putting the county’s force second only behind the Metropolitan Police. The figures prompted fears that the force, which faces multi-million pound budget cuts, was holding off on charging suspects because it did not have the resources to bring cases to court any quicker. As of April 1 this year, 614 suspects had been on bail in excess of 180 days, compared to 859 in 2013 and 716 last June, according to new figures. The total number of people on bail has also fallen, from 3,734 on June 16 to 3,551 on April 1. More than 300 of those suspects have not answered bail and are now “overdue”. Chief Superintendent Chris Hardern, of the Force Performance Improvement Unit, said: “There has been a focus on arresting people that have failed to answer their bail. However, there are a significant number of overdue bail records which are due to incorrect finalisation on our systems and not due to the suspect being outstanding. “Districts have recently conducted an extensive review of bail which has reduced the overdue bail figures by up to 30 per cent. It emerged last year that more than 10 per cent of the suspects on bail for more than six months relate to “two major child sexual exploitation investigations” in Keighley and Calderdale. In December, Home Secretary Theresa May announced plans to limit pre-charge bail to 28 days. Any bail periods between 28 days and three months would need to be authorised by a senior officer, and a magistrate would have to sign off bail beyond three months.